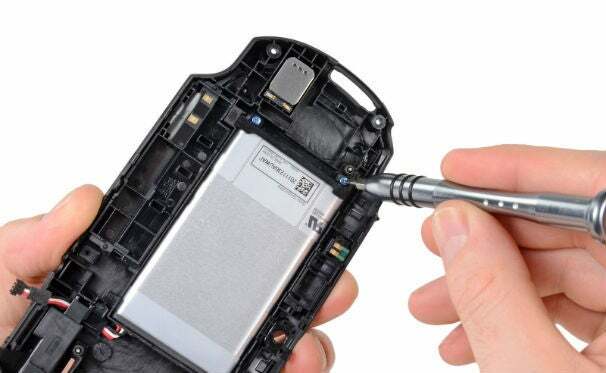 In a refreshing change of pace from locked-down phones and tablets, the Vita easily comes apart with a small Phillips screwdriver and a plastic prying tool. There's not too much adhesive inside, unlike the recently torn down Droid 4, and the battery pops out with no trouble once its Phillips screws are removed. On the backside of the Vita's wireless card, iFixit found a Qualcomm MDM6200 module, which supports HSPA+ speeds up to 14.4 Mbps. Despite this discovery, the Vita only supports regular HSPA on AT&T's 3G network, which is theoretically half as fast. (In Japan, the Vita supports HSPA+ speeds.) In my own speed tests, I confirmed that the Vita is slower than my HSPA+ Samsung Galaxy S II. Despite rumors last year that Samsung would be building the PlayStation Vita's quad-core Cortex A9 processor, it's a homegrown creation. As TechInsights reported, the chip was a joint effort by Sony, IBM and Toshiba -- the same companies that produced the PlayStation 3's CELL processor. Samsung only provides the RAM. 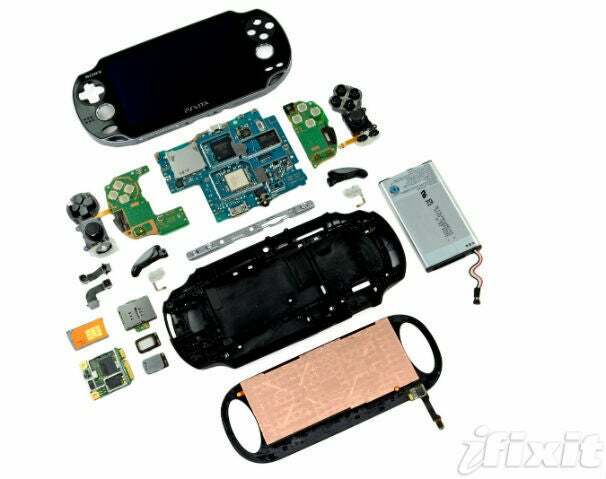 Sony's official list of PS Vita specs leaves out some specifics, so the teardown is a good reminder of exactly what's inside: 512 MB of RAM, VGA (640-by-480 resolution) cameras in front and back, and a 2210 mAh battery. Although the Vita is easy to peer inside, separating the front plastic and LCD is another matter. 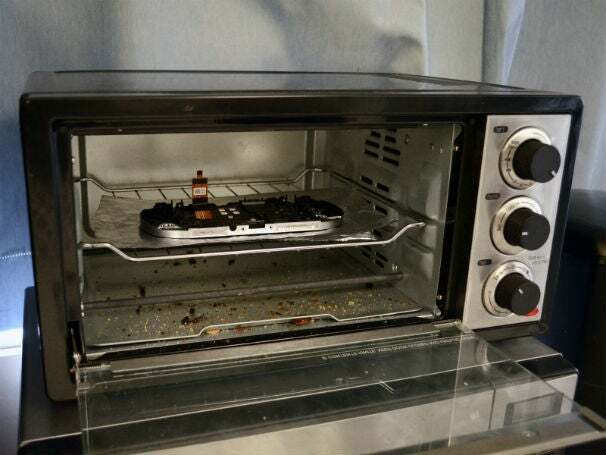 To break these components apart, iFixit had to put them in the oven at 200 degrees for 10 minutes.